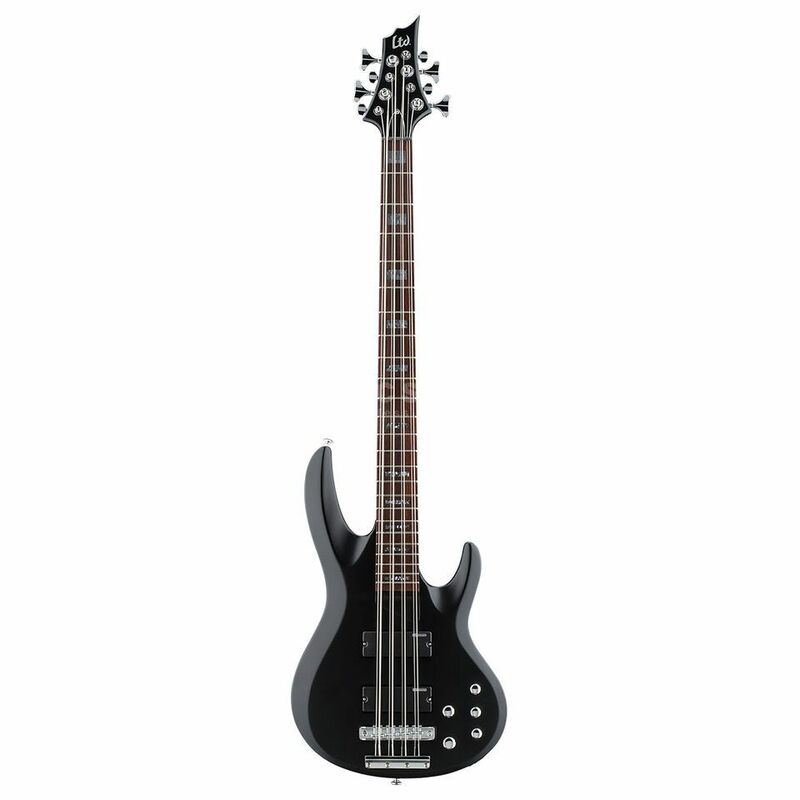 The ESP LTD FB-208 8-String Bass Guitar Black. Rocking, basswood topped electric bass with humbucking pickups and active EQ for big, biting tones. The LTD FB-208 is an 8-string, solid body electric bass guitar with superb playability and a sleek basswood top in a black satin finish. The Ltd Standard Basses Series, FB-208 is loaded with ESP SB-5 pickups and ESP ABQ3 3-Band Active EQ controls for versatile, bold tones. The smooth, thin U-shaped, 5 piece maple and rosewood neck with rosewood fingerboard plays well and looks stunning. Other features include abalone inlays, 24 xtra jumbo frets, ESP-LTD tuners and an ESP DB-5 bridge. The LTD FB-208 is an affordable, pro quality, 8-String bass with versatile tones and professional hardware.